Sun Group of Hotels is a progressive name in the arena of hospitality. Blending traditional hospitality with the state of the art amenities, the team at Sun Hotels promises and delivers excellence. With our tradition of commitment to quality, service and value; guest satisfaction is our top most priority. Our ambience is ideal for both business and leisure travelers guaranteeing a winsome stay to them. Sun Hotel Agra endeavors to offer a perfect stay to all our cherished guests. 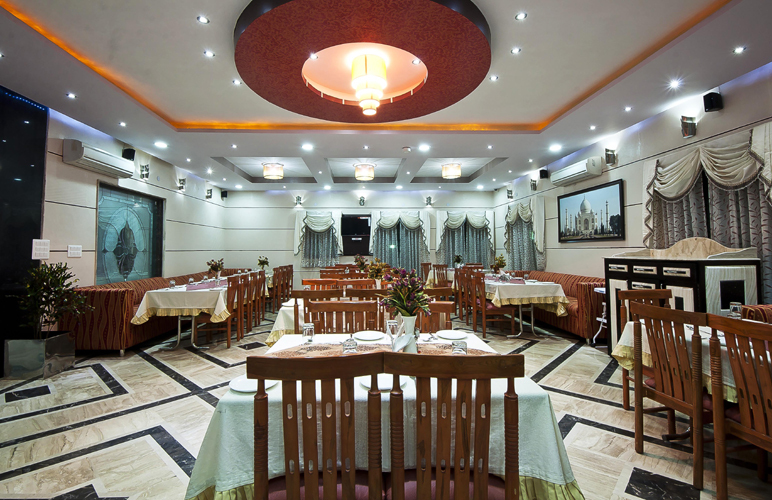 We go that extra mile in ensuring that the guests get an opportunity to get acquainted with the finest facets that the vibrant city of Agra has to offer. Our well furnished rooms facilitate your stay with their inbuilt amenities of entertainment and relaxation. From a sinful culinary indulgence to connectivity to all major business and leisure avenues in Agra, Sun Hotel presents it all enwrapped in true Indian warmth. Travel Counter, Parking, Backup Generator, Airport Transportation, Doctor on Call, Security Guard, Room Service, Currency Exchange, Breakfast Services, Laundry Facilities. House Keeping, Iron/Ironing Board, H/C Water, DVD Player, Attached Bathroom, Toothbrush/Razor on Request, Air Conditioning Room, Wakeup Calls, Cable/Satellite TV. User reviews for "Sun Hotel Agra"